Did all of you have a refreshing long weekend? I certainly hope it was filled with fun, sun, gorgeous weather, football, barbecue and cold drinks! Mine had some of that, but also had work today (boo!). That also means, however, that I will get holiday pay on my next check - that's a yippee right there! 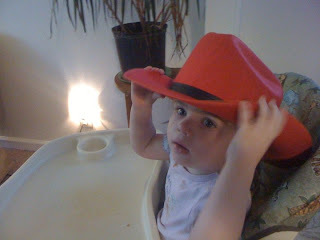 Over the weekend, my younger daughter turned 2 years old. I can't believe how time has completely flown by...seems like just yesterday we brought her home from the hospital and sat and stared at her for hours on end. Now, she runs around like some crazy baby, and we still sit around watching her. My sons Thomas and Jacob, Jacob's friend Zachary, and GinaGina. 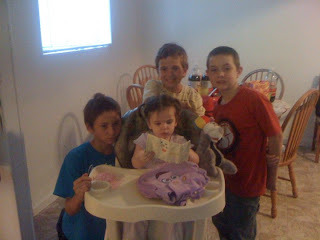 Her party (and I use that term loosely, since it was nothing significantly planned out at all) was successful. Snacks, homemade chili, and a frosted pink birthday cake made it great. 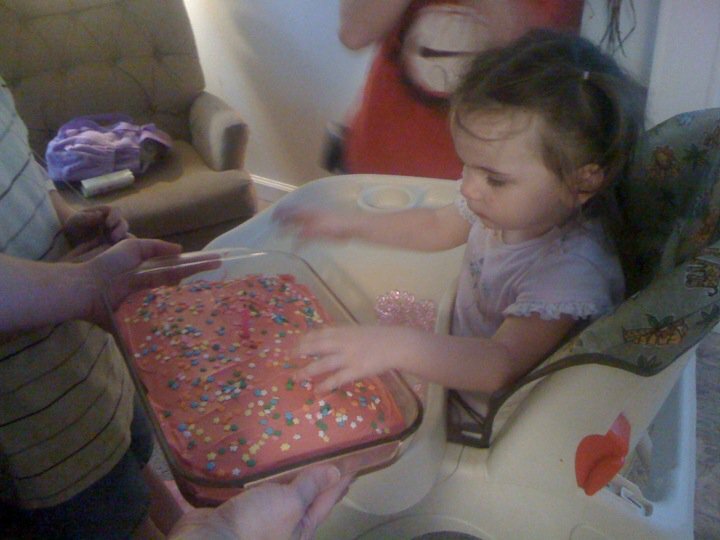 Yay for pink frosting and sprinkles! GinaGina's favorite thing is, by far, Dora the Explorer (much to my chagrin). She runs when she hears it on tv. We have several episodes DVR'd for her viewing pleasure, as well as a DVD of 4 episodes. If she's upset, you can always get her to calm by singing the Dora song and quoting the beginning of an episode. She'll continue quoting and forget what she was upset about. 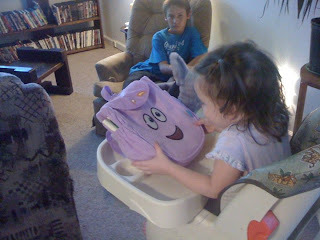 Along with Backpack and Map, my mom got her another Dora DVD with 3 episodes we didn't have DVR'd! SCORE! 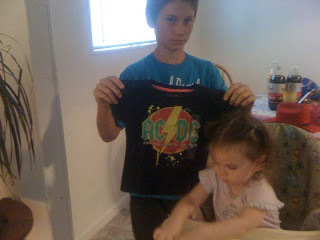 What 2 year old doesn't need another AC/DC shirt?? And Thomas looks thrilled to be there, doesn't he? One of her favorite episodes of Dora is the cowboy episode, where Dora and Boots are dressed in their cowboy gear and have to deliver cowboy cookies to Benny. She loves it, and rides her stuffed unicorn around yelling, "Yeehaw!". So, we had to get her some gear. Zachary also gave her a stick horse, which is awesome except that it talks and whinnies when a button is pressed on its ear, which really freaks GinaGina out. So she's sticking with the unicorn, from what I can tell. 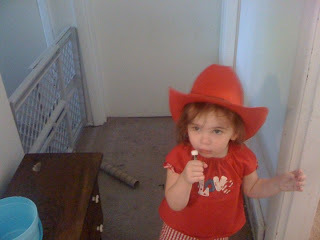 She's also going for the country singer gig, which she can totally pull off. Just give that girl anything that resembles a microphone, and she's good to go. So even though I had to work today, the weekend was an utter success. The weather was just stunning as well - we were able to keep the windows open all weekend long (until today, because I'm a wimp). I can't say it was relaxing, although we didn't DO much of anything. We were all exhausted by the end. Again, I hope your weekend was beautiful and special. Happy Birthday Gina-Gina! And yes, it does seem just like yesterday when we were anticipating your arrival. 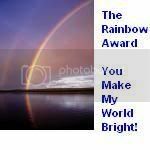 The weekend was a mixed bag but I consider it successful when I don't have to make any ER runs or admit Roger to the hospital. however, he is having probs today so today may find us in ER/admitted. 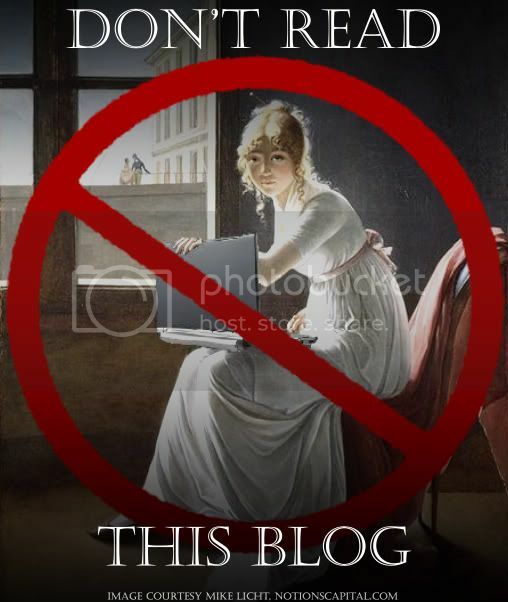 Glad to see you blogging again. I've started knitting and crocheting things for Christmas and want to sew. How is your sewing doing?